Beyoncé has been surrounded by rumours of a second pregnancy for weeks now, but today her team has finally confirmed that the 31-year-old singer is “absolutely not” pregnant. There have been several hints that the singer wasn’t expecting, but no official statement from her people. 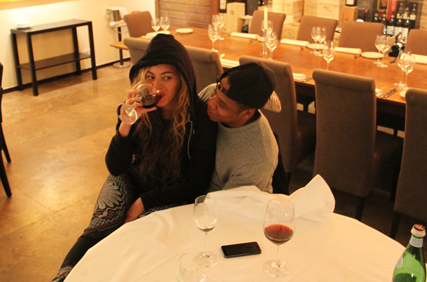 Last week, she posted an image to her Tumblr page of her sitting on hubby Jay’Z’s lap while drinking wine. She then performed on stage at Twickenham Stadium for the Chime For Change concert wearing a tiny, super-tight leather leotard, without a hint of a baby bump. But still no official statement – that is, until now. US TV host reported on CBS This Morning that the rumours have been denied. “I got a call yesterday from Team Beyoncé you guys, and they’re basically saying stop the crazy, she is absolutely positively not pregnant at this time. It’s a crazy rumour that started that they can’t seem to stop, and so they wanted us to – they said you know, CBS, news is back in the morning, they wanted us to know she’s not pregnant. The rumours first began when Beyoncé cancelled a concert date on her Mrs Carter World Tour, citing “exhaustion”. Fans then claimed that they could see a hint of a bump in her blue sequinned catsuit. When Bey first announced she was expecting Blue Ivy, now 17 months, she rocked up to the red carpet at the Grammy Awards in 2011 cradling her new baby bump and showing it off for the cameras. So there’s no reason why she wouldn’t be happy to let us know when baby number two is on the way.